The information contained herein is deemed to be reliable, but may not be 100% accurate. There are more media formats available than are listed here. Check back often for updates. Media Moniker: 4MM - refers to the width of the tape. This is a very small tape when compared to other backup tape types. 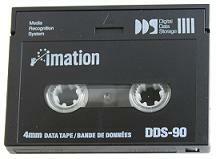 It was developed originally as an audio tape, and the name DAT (Digital Audio Tape) has stuck, although the data grade versions will have a DDS name, which stands for "Digital Data Standard". The tape film is approximately 4MM wide, with the exception of DDS6, which is 8MM wide, although it retained the DDS/DAT naming convention. These tapes are typically used in environments where frequent use is not required, and most commonly contain Microsoft Windows data. Drives which wrote to tapes of this format did not benefit from servo or other head-alignment technology, therefore the probability of successful restoration of 100% of the data from this tape format is not as high as some more modern formats, although still fairly high. It is very important to clean DDS drives frequently to prevent backups/restores from failing. Media Moniker: 8MM - refers to the width of the tape. The amount of data able to be written to these cartridges varied wildly based on the drive used to write on them. The media capacities provided above are the most common, but variances can occur. This version of 8MM tape technology was never widely adopted beyond SMB and department level use. Using what was described as "packet technology", data was written to tape in addressable packets as opposed to writing data in tracks, like most other tape technologies. The main selling point for this technology was that the packet technology afforded the user higher rates of reliability in backup and restoration at greater speeds, however the competitive threshold was set against DDS technology. Other technologies, such as SuperDLT and LTO, began to appear and the VXA technology was unable to keep up. Use of this technology was marketed to SMBs and department-level backup users. It is extremely rare to find VXA in enterprise use. 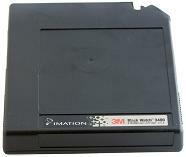 AIT tape is an 8MM tape designed by Sony to be a high speed, high capacity format. 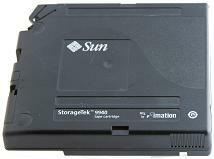 AIT employs tape partitioning which enables higher restore speeds due to partition addressing. 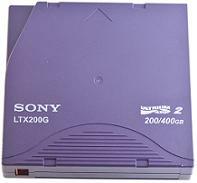 Sony introduced Write-Once Read-Many (WORM) technology into the AIT line beginning with the AIT-2 format, which was marketed towards industries which operated in regulatory environments requiring such archiving of data versus disaster recovery backups. The technology was moderately adopted in the marketplace, with the high price tag being the major factor in preventing broader adoption. Sony announced in November of 2009 that it is abandoning further development of AIT technology due to a lack of market interest. 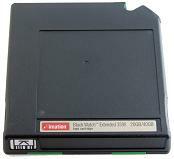 Many people refer to this media by the drive type instead of the tape type because the same piece of media can often be used in different drives. For example, the DLT-IV cartridge can be used in the DLT-4000, DLT-7000, DLT-8000, DLT-1, and DLT-VS80 drives at different data densities, respectively. The DLT family has the reputation for being a solid, reliable media format with an excellent life span. 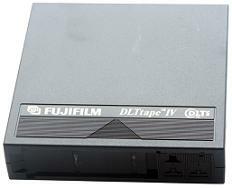 As you can see from the release dates that many of the tape formats are at, or have exceeded their OEM specified life span, so if you are sitting on a population of DLT-III, DLT-IV or SDLT-1 tapes you may want to consider migrating your media to a newer version tape and take advantage of the increased capacity of the newer media. Ultrium, which refers to one of two form factors for the media. The other factor, Accelis, was introduced and abandoned, therefore the market has used the terms LTO and Ultrium interchangeably. LTO technology was designed from the beginning using .5 inch technology as an open standard to combat against the proprietary formats which existed at the time. As such, there has been wide-spread adoption of the technology into the marketplace and it has forced several proprietary format manufacturers out of business or to consolidate with other companies. 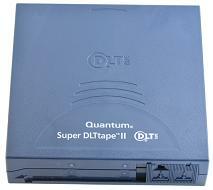 LTO has been widely adopted and has been the most commonly sold tape format since the year 2000. 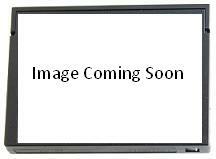 9x80 technology is a proprietary standard developed by StorageTek and has been widely adopted in the enterprise, primarily with mainframe and mid-range systems. 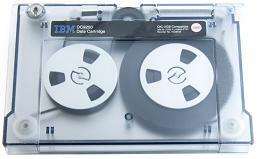 You may have noticed that the compressed storage amount of these tapes is 4x the native storage capability, and this is because data stored on mainframe and mid-range systems is far more compressible than data from Windows and UNIX variants. 34x0 and 359x technology are proprietary formats developed by IBM and have been widely adopted in the enterprise, primarily with mainframe and mid-range systems. More recently, with the introduction of 3592 technology, it is becoming more common to see Windows and UNIX variant systems backed up on the media. 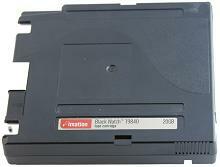 QIC tapes were designed for the home PC user in mind and were sometimes used for departmental backups. Because of the age of these tapes, they are seen less and less frequently in the marketplace. 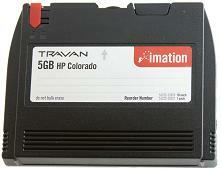 QIC is not only a media name, it is a standards body for media, including some 8MM formats, such as Travan.